Since the Earl of Sandwich's man came up with the idea of placing a tasty filling between two slices of bread to assuage his employer's hunger while the man was busy playing cards, sandwiches have gone from strength to strength. They're lunch on the run or part of a traditional English Afternoon Tea, just as fancy dictates. Sandwiches also make ideal picnic food. And as everyone who's ever been to England knows, we just love our picnics. The sun just needs to poke her nose around the corner of a cloud and we're out there ... on the green, soaking up the rays and dining on crisps and tasty bread. These are the poshest, most delicate sandwiches you can find in England - and they go back to titled ladies' drawing rooms in the last two centuries. 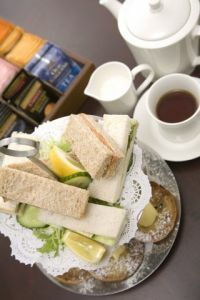 Tea sandwiches are dainty bites of crustless bread with savoury fillings, just right to be served alongside a cup of tea. Check out some traditional English recipes for treats such as cucumber sandwiches, celery sandwiches or anchovy and egg sandwiches. Picnic Sandwiches are less dainty than finger sandwiches served for afternoon tea. They need to be more robust, since they need to withstand the rigours of transport to your chosen picnic site. They can't fall apart while being eaten, either, so a decent firm bread is a must. Fillings tend to be a bit more robust, too. There will be cold meat, relishes, pickles and salad - just as in these traditional English recipes for picnic sandwiches. Sausage rolls are always touted as picnic fare, even though I've never thought so. In my book, puff pastry is too delicate to stand up to the rigours of an outdoor picnic and cold sausage rolls tend to be greasy and unappetising. 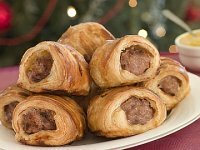 But then I discovered Sussex Sausage Rolls and they are a completely different K o F. Spicy sausage wrapped in bread dough - who can say no to that? 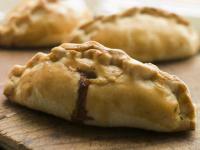 Cornish pasties make ideal picnic food. They're sturdy and sport a generous, flavoursome filling that works hot as well as cold. It's not surprising, really, because they were designed to be eaten 'rough' - out of doors and without cutlery. Pedigree shows through... it's as simple as that. 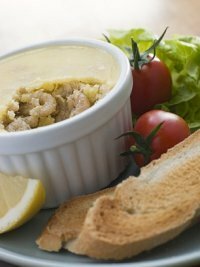 Little pots of potted shrimps, bought by the seaside or on the way to the beach, make a surprisingly satisfying picnic food. All you need is bread and a knife. And if you can rustle up a lemon then your picnic meal will scale new heights. 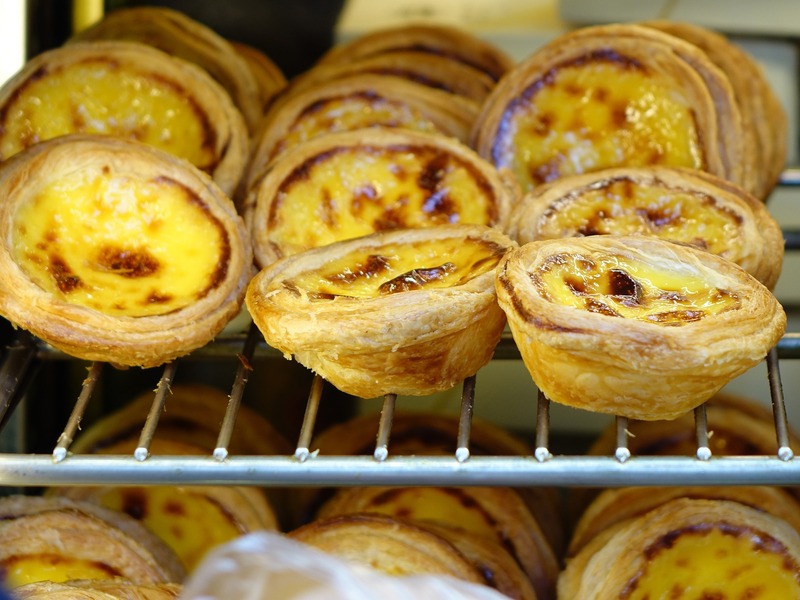 You may want a sweet to finish your picnic, and custard tarts - little, individual ones that is - fit the bill perfectly. The pastry makes a useful container for the filling and they can be eaten very successfully without the need for plates or spoons. If you're worried, just use little foil cases to bake them in, and you have an added layer of protection for your pastry. Eating food out of doors in the sunshine has a feeling of 'rightness' about it. As if food was meant to be eaten this way - provided you've brought the right kind of food. Nothing worse than a picnic of soggy sandwiches and spills. But if you follow the traditional English recipes on this page, that's not a problem you need to worry about. 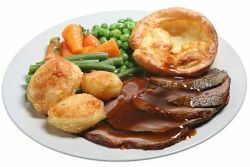 Return to the traditional English recipes page for more ideas.